Time flies, no news on that front, but 2014 seems to have flown particularly quickly. One of the reasons for this impression may be the accumulation of global economic and political challenges. Challenge no. 2: Terrorism. After Kunming and other recent attacks, such as in Beijing and Xinjiang, China is now a major target for religiously motivated terrorism. So far, it seems to be a local matter of the region of Xinjiang but there are signs that Chinese Islamist terrorists are establishing connections to internationally connected movements, such as the Islamic State. The government needs to balance anti-terrorist measures while avoiding a (further) marginalization of the Muslim minority in China. Challenge no. 3: Jobs. In the face of slowed economic growth, yet-to-develop domestic demand as well as a change from the world’s workbank to ‘designed-in-China’, appropriate jobs need to be created. This is of particular importance for young university graduates who have been made to believe that they are appropriately educated but who find themselves earning salaries post-graduation which are not much higher than a that of a Shanghai taxi driver. Despite the ongoing optimism of the Chinese youth, this may be a cause for frustration or even instability. Challenge no. 1: Terrorism, refugees, right-wing populism. UNHCR reports the worldwide highest number of refugees ever since World War II. The largest group of the global refugees is now from Syria (previously Afghanistan), which has notably suffered from the advancement of the Islamic State. Terrorist attacks on European soil cannot be excluded, as the Charlie Hebdo shooting tragically showed last week. These developments will further fuel right-wing populism on a broad scale in the West, even in countries where this is rather unusual (such as Germany). Liberal values will need to be defended without abusing any group of people as a scapegoat. Challenge no. 3: Crisis management. ‘The crisis’ has become a never-ending story. It broke out in 2008 and also 2015 is unlikely to close this infamous chapter of European integration history, as the recent re-emergence of the ‘Grexit’ suggests. We might need to get used to a Japanese-style of permanent state of crisis. With agendas like this, it’s a safe bet to expect that in 2015, too, time will seem to fly very quickly. 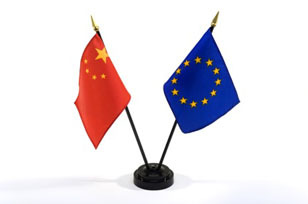 This entry was posted in Current Affairs, Global & International, The EU and tagged EU-China relations, European Union. Bookmark the permalink.